The Dutch based company Hendrix Genetics has been awarded a multi-year grant from the Bill & Melinda Gates Foundation to improve poultry production in Africa. The goals of the Sustainable Access to Poultry Parental Stock to Africa (SAPPSA) project are to secure the supply of parent stock genetics to Africa and to set up a breeding program to further develop breeds for the smallholder farmers in Africa. Raising poultry is an important source of income for poor, rural communities in many African countries. In these countries, the smallholder farmers make an important contribution to poultry production. In Ethiopia, for example, smallholder farmers are responsible for 90% of the egg production. Currently, the local indigenous breeds available to these farmers are very inefficient and less productive compared to other alternative breed options such as Sasso. Unfortunately, the smallholder farmers in rural areas do not have access to these improved genetics and are left to use birds that have low levels of productivity and high mortality rates. The access to an improved dual-purpose chicken could transform the rural poultry enterprise. Established projects such as the African Poultry Multiplication Initiative are aimed at securing the chain from hatchery, to brooder units, to smallholder farmers. This initiative depends on the availability of improved breed parent stock genetics such as Sasso, where the SAPPSA project will help to fill this gap. Naomi Duijvesteijn will act as Project Manager and will be responsible for the set up of the breeding program. Naomi joined Hendrix Genetics in September 2018. She recently returned to the Netherlands after a 2 year postdoc position in Armidale, Australia on the use of sequence information in sheep. Louis Perrault, General Manager of Sasso, will be involved by focusing on the planning and logistical process, leading to better distribution within Africa. One of the initiatives the SAPPSA project will collaborate with is “Poulet de Faso, an initiative founded by Ceva and Sasso, and supported by the Bill & Melinda Gates Foundation. In this program, located in Burkina Faso, a local sire line is bred with a Sasso poulet. The resulting day old chicks have the benefit of high quality genetics, are well suited for the African climate, and can provide a good income for smallholder farmers. All local members involved in the initiative will be supported with education on best practises for nutrition, housing, and biosecurity. The SAPPSA project will also include establishing a breeding program where we will study and measure traits specifically for performance within Africa. This will ensure the bird is adapted for the local needs and environmental pressures so that these birds will perform well for a backyard farmer. With tailored breeds, farmers are then able to increase their income and grow their farm. The Bill & Melinda Gates Foundation invests in projects that aim to help improve people’s lives, and we are proud to be leading this project where breeding will really make a positive impact. The SAPPSA project addresses issues such as supporting African farmers, many of whom are women raising small children, feeding the growing population with nutritious protein, and investing in the future of agriculture in Africa. 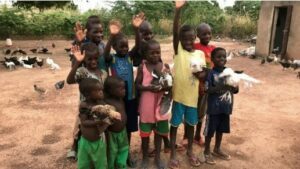 Hey Buddy!, I found this information for you: "Hendrix Genetics receives a multi-year grant from the Bill & Melinda Gates Foundation to improve poultry production in Africa". 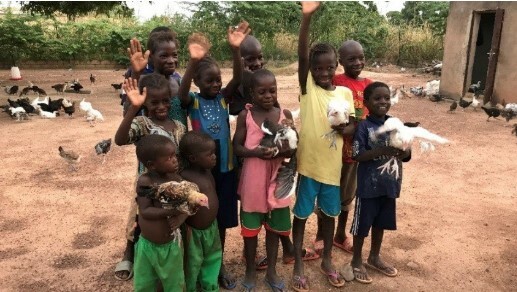 Here is the website link: https://www.duurzaam-ondernemen.nl/hendrix-genetics-receives-a-multi-year-grant-from-the-bill-melinda-gates-foundation-to-improve-poultry-production-in-africa/. Thank you.